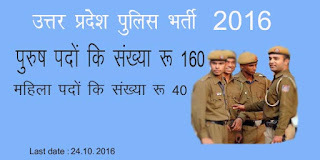 Online application are invited from Uttar Pradesh candidates to full fill 200 posts where 160 posts reserved for male candidates and 40 women candidates. Application fee :- Candidates who want to join UP Police must deposit application fees Rs 200/- through E-banking or E-chalan or Debit Credit card. Age limit :- Candidates age must between 02 July 1991 to 01 July 1998. Education Qualification:- High school and Intermediate education fro Uttar Pradesh high school examination pass. 2 Online Payment :- Pay registration fees.